Draft: 2013, Toronto Blue Jays, 15th rd. Jonathan R. Davis ... Went to Fairview High School in his hometown of Camden, Arkansas ... Attended the University of Central Arkansas where he was named Southland Conference Freshman of the Year for his 2011 campaign (5-HR, 30-RBI, 21-SB, .350 AVG, .963 OPS) ... Is a brother-in-law to Anthony Alford. Started the season with 77 games in Double-A New Hampshire where he hit .302 (92-for-305) with 22-2B, 3-3B, 5-HR, 33-RBI and 19-SB ... Was promoted to Buffalo in mid-July and made his Triple-A debut on July 13 (1-for-5, 2R, 1RBI, 1SB) ... Batted .249 (46-for-185) with 7-2B, 2-3B, 5-HR, 23-RBI and 7-SB over 46 games for the Bisons ... Had contract selected on Sept. 4... Made his MLB debut on Sept. 5 vs. TB (0-for-3) ... Stole his 1st base as part of a double steal with Devon Travis on Sept. 11 at BOS ... Collected his 1st MLB hit via a single in the 6th inning off David Price on Sept. 12 at BOS ... On Sept. 25 vs. HOU, led off the opening inning with his 1st career double. Played the full season with the Double-A New Hampshire Fisher Cats ... Went 4-for-5 on June 18 at Bowie for his 1st professional four-hit game ... Put together a four-game multi-hit streak from July 16-19 (8-for-12, 2B, 3B, 2HR, 5RBI, 6BB, 1K) ... Finished the season with a team-best 20 stolen bases (34 attempts) while registering a .249 average in 128 games ... Led the club with 69 walks, 20 more than any other Fisher Cat ... Posted a .994 fielding percentage (2 E/312 TC) over 1052.1 innings in the outfield ... Played in the Arizona Fall League for the Peoria Javelinas and hit .295 (23-for-78) with six doubles, a home run and seven stolen bases. April 22, 2019 Toronto Blue Jays sent OF Jonathan Davis on a rehab assignment to Buffalo Bisons. April 18, 2019 sent CF Jonathan Davis on a rehab assignment to Dunedin Blue Jays. March 28, 2019 Toronto Blue Jays placed CF Jonathan Davis on the 10-day injured list retroactive to March 25, 2019. Right ankle sprain. November 12, 2018 Leones del Escogido placed OF Jonathan Davis on the reserve list. 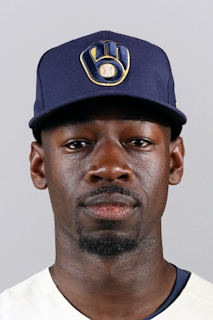 October 13, 2018 OF Jonathan Davis assigned to Leones del Escogido. September 4, 2018 Toronto Blue Jays selected the contract of CF Jonathan Davis from Buffalo Bisons. July 12, 2018 CF Jonathan Davis assigned to Buffalo Bisons from New Hampshire Fisher Cats. January 25, 2018 Toronto Blue Jays invited non-roster LF Jonathan Davis to spring training. April 3, 2017 CF Jonathan Davis assigned to New Hampshire Fisher Cats from Dunedin Blue Jays. March 17, 2017 OF Jonathan Davis assigned to Toronto Blue Jays. October 28, 2016 OF Jonathan Davis assigned to Indios de Mayaguez. October 28, 2016 Indios de Mayaguez placed OF Jonathan Davis on the reserve list. March 16, 2016 LF J.D. Davis assigned to Toronto Blue Jays. September 24, 2015 Dunedin Blue Jays activated RF Jonathan Davis from the 7-day disabled list. August 19, 2015 Dunedin Blue Jays placed LF J.D. Davis on the 7-day disabled list. July 9, 2015 Dunedin Blue Jays activated LF J.D. Davis from the 7-day disabled list. July 2, 2015 Dunedin Blue Jays placed LF J.D. Davis on the 7-day disabled list. June 4, 2015 Dunedin Blue Jays activated LF J.D. Davis from the 7-day disabled list. May 26, 2015 Dunedin Blue Jays placed LF J.D. Davis on the 7-day disabled list. May 15, 2015 LF J.D. Davis assigned to Dunedin Blue Jays from Lansing Lugnuts. May 1, 2015 Lansing Lugnuts activated LF J.D. Davis from the 7-day disabled list. April 6, 2015 LF Jonathan Davis assigned to Lansing Lugnuts from Vancouver Canadians. August 29, 2014 LF Jonathan Davis assigned to Vancouver Canadians from GCL Blue Jays. August 27, 2014 LF Jonathan Davis assigned to GCL Blue Jays from Vancouver Canadians. June 10, 2014 LF Jonathan Davis assigned to Vancouver Canadians from Bluefield Blue Jays. June 18, 2013 OF Jonathan Davis assigned to Bluefield Blue Jays. June 13, 2013 Toronto Blue Jays signed OF Jonathan Davis.